It’s been a busy few weeks in cybercrime news, justifying updates to a couple of cases we’ve been following closely at KrebsOnSecurity. In Ukraine, the alleged ringleader of the Avalanche malware spam botnet was arrested after eluding authorities in the wake of a global cybercrime crackdown there in 2016. Separately, a case that was hailed as a test of whether programmers can be held accountable for how customers use their product turned out poorly for 27-year-old programmer Taylor Huddleston, who was sentenced to almost three years in prison for making and marketing a complex spyware program. First, the Ukrainian case. On Nov. 30, 2016, authorities across Europe coordinated the arrest of five individuals thought to be tied to the Avalanche crime gang, in an operation that the FBI and its partners abroad described as an unprecedented global law enforcement response to cybercrime. 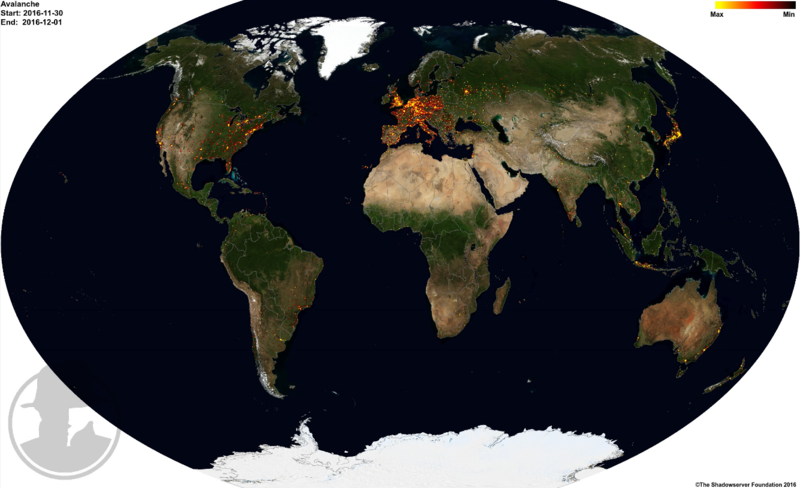 Hundreds of malicious web servers and hundreds of thousands of domains were blocked in the coordinated action. The alleged leader of the Avalanche gang — 33-year-old Russian Gennady Kapkanov — did not go quietly at the time. Kapkanov allegedly shot at officers with a Kalashnikov assault rifle through the front door as they prepared to raid his home, and then attempted to escape off of his 4th floor apartment balcony. He was later released, after police allegedly failed to file proper arrest records for him. But on Monday Agence France-Presse (AFP) reported that Ukrainian authorities had once again collared Kapkanov, who was allegedly living under a phony passport in Poltav, a city in central Ukraine. No word yet on whether Kapkanov has been charged, which was supposed to happen Monday. 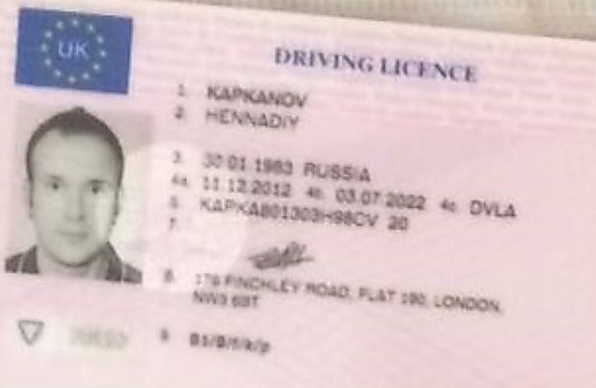 Kapkanov’s drivers license. Source: npu.gov.ua. HOW WELL DO YOU REALLY WANT TO KNOW YOUR CUSTOMERS? 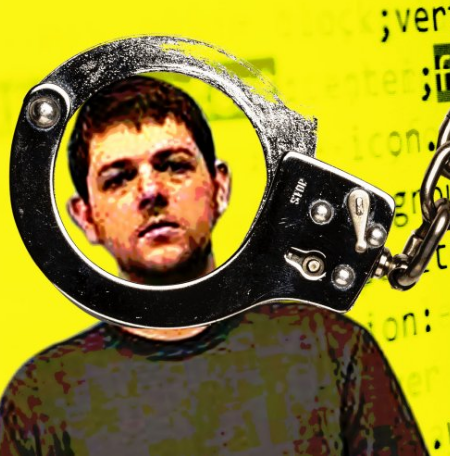 Lawyers for Taylor Huddleston, a 27-year-old programmer from Hot Springs, Ark., originally asked a federal court to believe that the software he sold on the sprawling hacker marketplace Hackforums — a “remote administration tool” or “RAT” designed to let someone remotely administer one or many computers remotely — was just a benign tool. The bad things done with Mr. Huddleston’s tools, the defendant argued, were not Mr. Huddleston’s doing. Furthermore, no one had accused Mr. Huddleston of even using his own software. The court was swayed by evidence that yes, Mr. Huddleston could be held criminally responsible for those actions. It sentenced him to 33 months in prison after the defendant acknowledged that he knew his RAT — a Remote Access Trojan dubbed “NanoCore RAT” — was being used to spy on webcams and steal passwords from systems running the software. Of course Huddleston knew: He didn’t market his wares on some Craigslist software marketplace ad, or via video promos on his local cable channel: He marketed the NanoCore RAT and another software licensing program called Net Seal exclusively on Hackforums[dot]net. This sprawling, English language forum has a deep bench of technical forum discussions about using RATs and other tools to surreptitiously record passwords and videos of “slaves,” the derisive term for systems secretly infected with these RATs. Huddleston knew what many of his customers were doing because many NanoCore users also used Huddleston’s Net Seal program to keep their own RATs and other custom hacking tools from being disassembled or “cracked” and posted online for free. In short: He knew what programs his customers were using Net Seal on, and he knew what those customers had done or intended to do with tools like NanoCore. The sentencing suggests that where you choose to sell something online says a lot about what you think of your own product and who’s likely buying it. Adobe has released updates to fix dozens of vulnerabilities in its Acrobat, Reader and Flash Player software. Separately, Microsoft today issued patches to plug 48 security holes in Windows and other Microsoft products. If you use Windows or Adobe products, it’s time once again to get your patches on. More than two dozen of the vulnerabilities fixed in today’s Windows patch bundle address “critical” flaws that can be exploited by malware or miscreants to assume complete, remote control over a vulnerable PC with little or no help from the user. 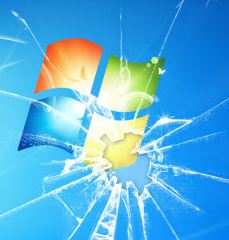 Security firm Qualys recommends that top priority for patching should go to a vulnerability in the Windows Search service, noting that this is the third recent Patch Tuesday to feature a vulnerability in this service. Qualys’ Jimmy Graham observes that many of the vulnerabilities in this month’s release involve the Windows Scripting Engine, which can impact both browsers and Microsoft Office, and should be considered for prioritizing for workstation-type systems. According to Microsoft, none of flaws in August’s Patch Tuesday are being actively exploited in the wild, although Bleeping Computer notes that three of the bugs were publicly detailed before today’s patch release. At least 16 hospitals in the United Kingdom are being forced to divert emergency patients today after computer systems there were infected with ransomware, a type of malicious software that encrypts a victim’s documents, images, music and other files unless the victim pays for a key to unlock them. It remains unclear exactly how this ransomware strain is being disseminated and why it appears to have spread so quickly, but there are indications the malware may be spreading to vulnerable systems through a security hole in Windows that was recently patched by Microsoft. The ransom note left behind on computers infected with the Wanna Decryptor ransomware strain. Image: BleepingComputer. In a statement, the U.K.’s National Health Service (NHS) said a number of NHS organizations had suffered ransomware attacks. According to Reuters, hospitals across England are diverting patients requiring emergency treatment away from the affected hospitals, and the public is being advised to seek medical care only for acute medical conditions. NHS said the investigation is at an early stage but the ransomware that hit at least 16 NHS facilities is a variant of Wana Decryptor (a.k.a. “WannaCry“), a ransomware strain that surfaced roughly two weeks ago. Lawrence Abrams, owner of the tech-help forum BleepingComputer, said Wana Decryptor wasn’t a big player in the ransomware space until the past 24 hours, when something caused it to be spread far and wide very quickly. Ransomware — malicious software that encrypts the victim’s files and holds them hostage unless and until the victim pays a ransom in Bitcoin — has emerged as a potent and increasingly common threat online. But many Internet users are unaware that ransomware also can just as easily seize control over files stored on cloud services. Toni Casala found this out the hard way. Casala’s firm — Children in Film — works as an advocate for young actors and their families. The company’s entire operations run off of application hosting services at a managed cloud solutions firm in California, from QuickBooks to Microsoft Office and Outlook. Employees use Citrix to connect to the cloud, and the hosting firm’s application maps the cloud drive as a local disk on the user’s hard drive. They were loving it, that is, until just before New Year’s Eve, when an employee opened an email attachment that appeared to be an invoice. Thirty minutes later, nobody in Casala’s firm could access any of the company’s 4,000+ files stored on the cloud drive. “Someone in my office was logged into Outlook and opened up invoice attachment and BAM!, within 30 minutes, every single file on our Q drive had ‘vvv’ added as file extensions,” she said. Every single folder -had a file that said “help.decrypt,” essentially the attacker’s’ instructions for how to pay the ransom. The cloud provider that Casala’s company is using was keeping daily backups, but she said it still took them almost a week to fully restore all of the files that were held hostage. She said the hosting service told her that the malware also disrupted operations for other customers on the same server. Casala said her company got lucky on several fronts. For starters, the infection happened right before her firm closed down operations for the New Year’s break, so the outage was less of a disruption than it might normally have been. More importantly, the malware that scrambled their files — a strain of ransomware called TeslaCrypt, contained a coding weakness that has allowed security and antivirus firms to help victims decrypt the files without paying the ransom. Users over at the computer help forum BleepingComputer have created TeslaDecoder, which allows victims to decrypt files locked by TeslaCrypt. Casala said the hosting firm had antivirus installed on the server, but that the ransomware slipped past those defenses. That’s because the crooks who are distributing ransomware engineer the malware to evade detection by antivirus software. 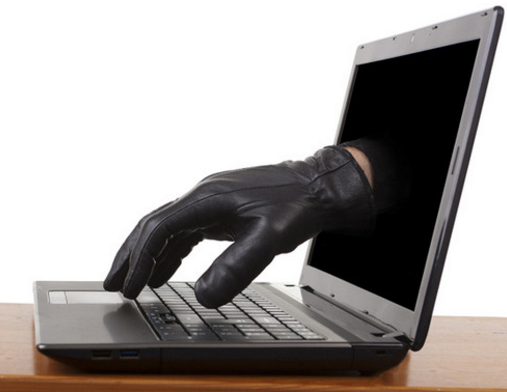 For more on how cybercriminals achieve that, see Antivirus is Dead: Long Live Antivirus.